Large institutional buyers are changing the energy landscape as we know it. In recent years, Fortune 500 companies and other large institutions, such as the military and colleges and universities, have begun to transform electricity markets by ramping up their purchases of renewable energy. 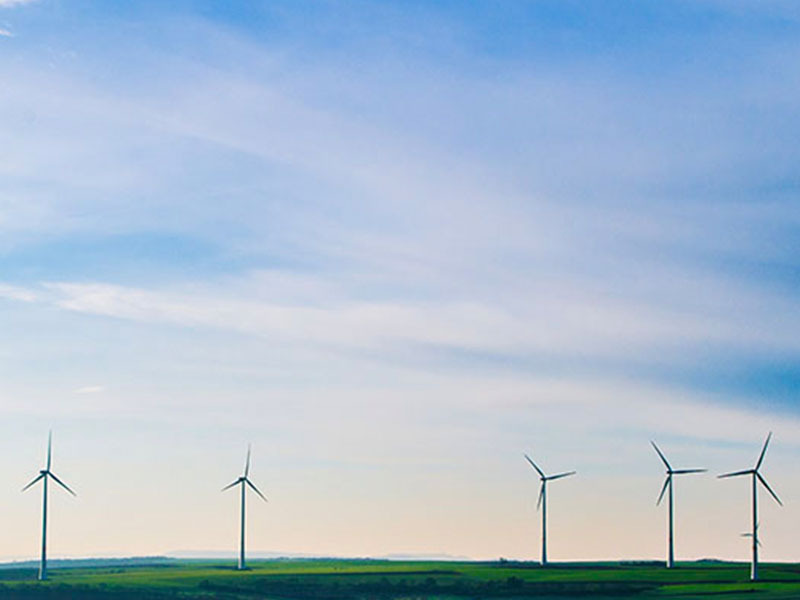 Beginning in 2014, DGA initiated a series of efforts to connect the massive shift in renewable energy markets led by large customers to a new set of state policy campaigns on customer choice. 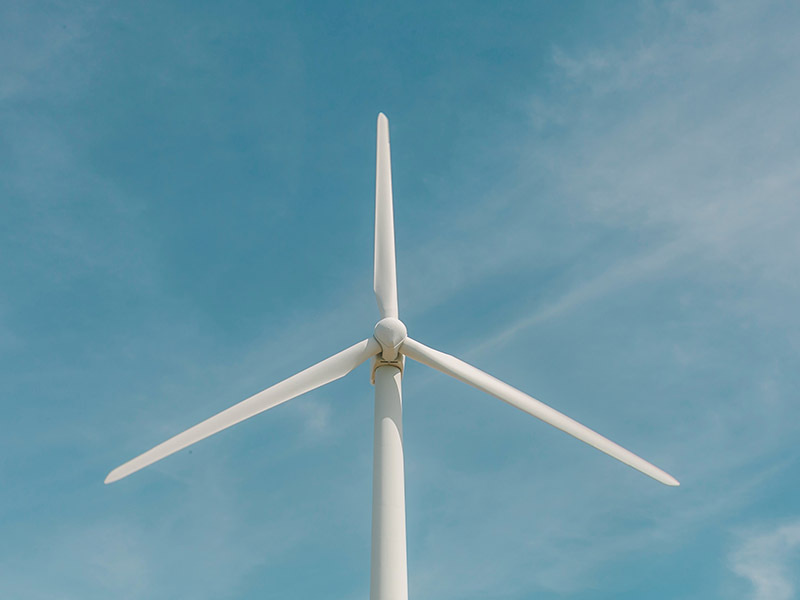 DGA identified this market trend early on and began working with diverse partners to develop customer choice policy campaigns designed to surpass the deployment of 60 gigawatts of additional renewable energy by 2025. 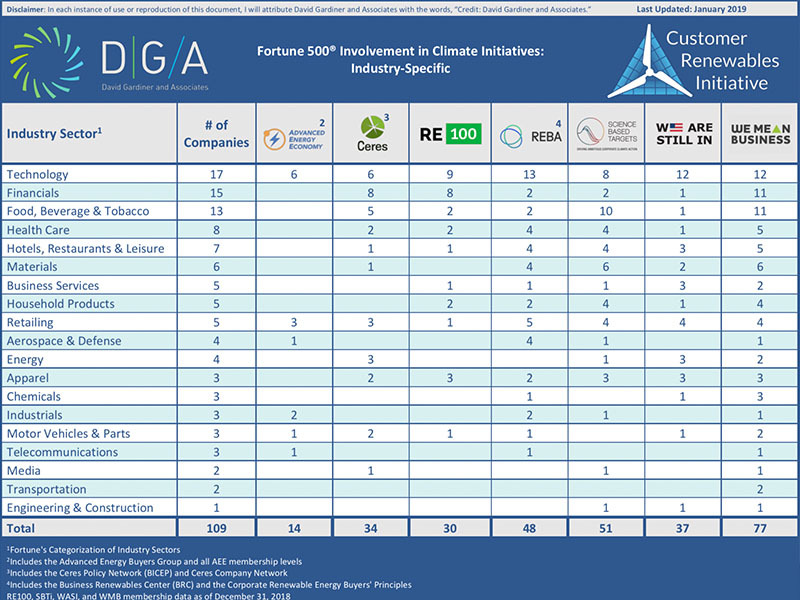 What does corporate clean energy and climate leadership look like? David Gardiner and Associates has a new tool designed to help stakeholders answer these questions. David Gardiner and Associates is renaming our Customer Revolution Project to the Customer Renewables Initiative. The new name reflects the massive shifts in U.S. renewable energy markets and the work underway to accelerate these markets. Our webinar highlighted the major impact of large customers on renewable energy growth in 2017 and featured speakers from Microsoft, the American Wind Energy Association, and Solar Energy Industries Association. As part of this project, DGA launched the Customer Renewables Monthly newsletter to identify and analyze the policy and market trends that define this historic change. Read the latest editions and subscribe.